Sadly winter seems to be edging towards us and for the first time we have switched on the heating today. A positive of winter being around the corner is the chance to hunker down of an evening , perhaps in front of an open fire, and watch your favorite programme or a good film on tv. Many people will be bringing out their rugs for winter to make their rooms feel and look warmer only to remember that they were put away perhaps needing a clean. Now is the perfect time to get your rugs cleaned and ready for use. Unlike most fitted carpets ,which are a single colour, most rugs are patterned and multi-coloured. A great advantage is that rugs have a great ability of not showing stains so easily and also have an amazing ability to hide dirt without it being obvious. Despite this great skill in hiding stains and soiling the reality is that rugs need cleaning to get rid of this hidden dirt. As an example I recently cleaned a small 6’x4′ rug from which I managed to extract a sandwich box full of debris during the back dusting process. That’s a huge amount of bug and bacteria carrying soiling from a small rug. Our multi-stage cleaning process means that rugs are returned free from contaminants ready for you to enjoy. 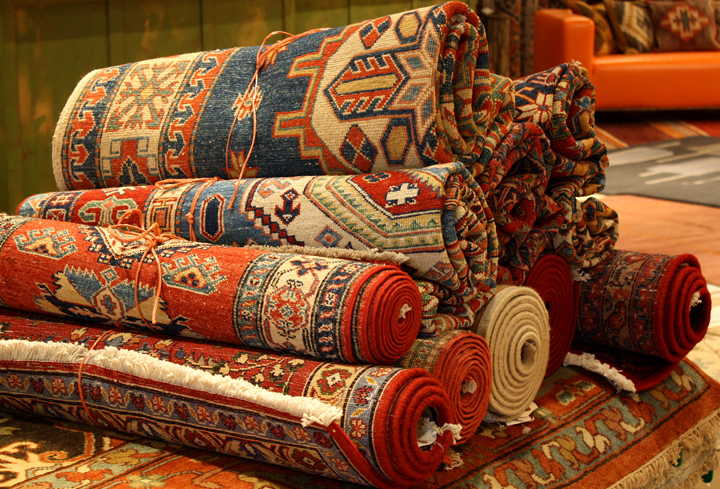 We make the whole process easier for you we offer a free collection and delivery service for your rugs. We aim to turn them around within 7 days at our dedicated rug cleaning unit, and it that time they will be back dusted to remove as much dry soiling as possible before the face pile is vacuumed. Any stains or marks are then treated to their best advantage, meaning that all efforts are made to remove the stain without damaging the rug and making the issue potentially more visible. The rug is then cleaned with an appropriate pH neutral cleaning solution and rinsed using only fresh water so there are no chemicals left in them. Finally they are thoroughly dried before being wrapped in protective polythene and returned to you ready to use.